Rob began studying the various yogas and mysticism in 1968. He initially practiced Gita yoga. In Melbourne in 1978 he met meditation master Swami Muktananda and travelled with him to America in 1980 where he assisted teaching Hatha yoga on Muktananda’s third world tour. In 1982 he went to Ganeshpuri, India to continue his studies. After Muktananda’s death, Rob travelled to the Himalayas and began studying under a Jnana (Knowledge) master. He returned to India regularly over the next few years to continue this work. During this time he studied extensively and integrated the teachings of Nisargadatta Maharaj and Ramana Maharshi and other great Jnana yogis. 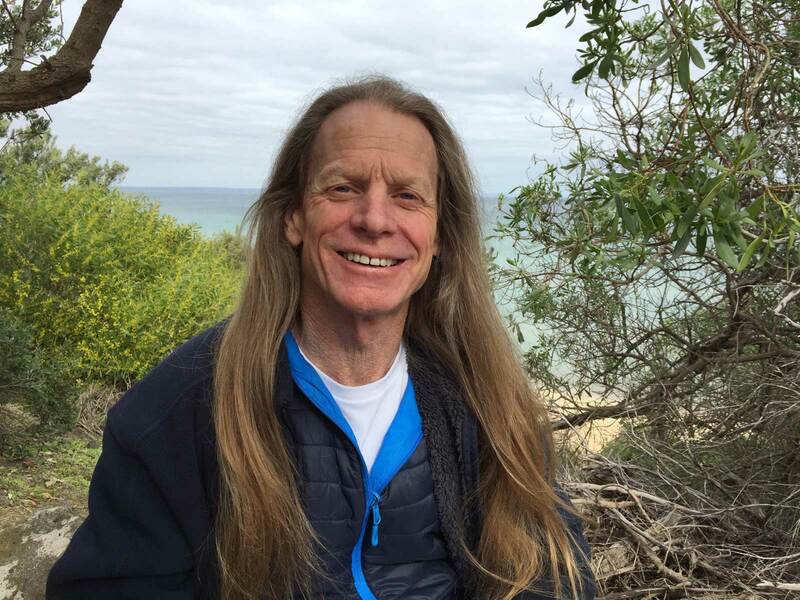 He has studied Tantra, Kashmir Shaivism, Vedanta, and a diversity of yogas and meditation at Osho (Bhagwan Sri Rajneesh) and Swami Satyananda ashrams and centres throughout Australia and India. He also incorporated Primal Therapy and Rebirthing into the mosaic of his experience. 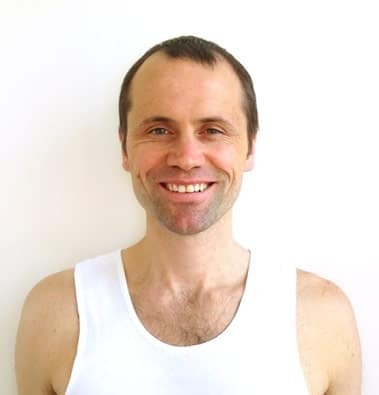 Rob studied, practised and ran schools in both of the main styles of physical yoga – static Iyengar and dynamic Ashtanga Vinyasa. He travelled to India and studied at the home and centre of both of these traditions with their respective masters – BKS Iyengar at Pune and Sri K Pattabhi Jois in Mysore. The first Ashtanga Vinyasa workshops in Melbourne were initiated and hosted at St Kilda Yoga School by Rob. The practice and experience of Vipassana – silent Buddhist meditation allowed integration and consolidation of the above physical practices. He has taught yoga and meditation to the dance company for the musical Sweet Charity, instructed at various gyms and managed the St Kilda Yoga School for extended periods of time. He has taught yoga and meditation at Turana Boys Detention Centre, Pentridge Prison, and in particular Jika Jika maximum security. He was employed for twelve years as a Lecturer of Physical Theatre by Melbourne University teaching yoga to the actors at The Victorian College of the Arts – Drama Faculty. Rob has also taught the corporate sector – ABC studios, advertising agencies, business executives and organisations such as The Age Newspaper. The medical profession employed him to teach the Bayside Doctors at their wellness conference. 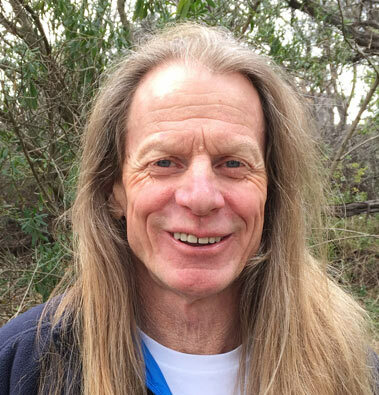 He’s also been employed by Albert Park College to teach yoga to their Secondary School Students at Yogareal Yoga Studio as part of their school program. His teaching style is unique, innovative and transformative. His insights will allow you to have insights. He communicates his experience in a light and easy manner, making yoga fun, practical, challenging and appropriate to all. ‘When I first met Rob, I was looking for answers. I didn’t have a clue about Yoga. It was 1998 and I was studying Acting at the VCA and when our movement teacher, who’d studied with the best in her field around the world, said that she’d been to see all the main yoga teachers in Melbourne and she thought Rob was the best, my ears pricked up. I had no idea what I was in for. Some far out physical contortions, maybe? But when Rob started talking to the class I couldn’t believe my ears. “Why doesn’t anyone else talk about this stuff?” I thought to myself. Before yoga and the VCA Theresa worked in various roles in the retail industry, starting from the basics and moving through to supervisory roles. She also worked and volunteered in Front of House for various Cinemas and Theatres; and worked in administration for Young Achievement Australia. 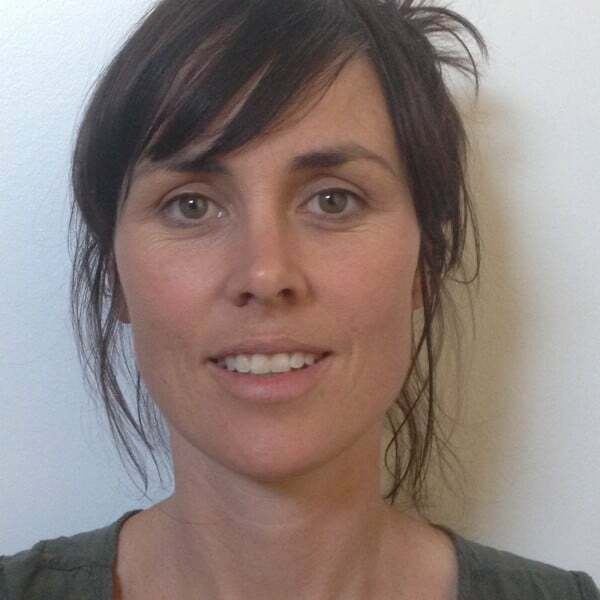 Thinking she would find fulfilment in acting, she pursued this, and on completing her Bachelor Degree in Acting at the VCA in 1999 she continued to perform in theatre, film and television until 2003. All the while, she practiced yoga under Rob’s guidance until she finally realised true fulfilment comes from knowing one’s Self, seeing things as they are and surrendering to the divine will. From 2000 Theresa’s various roles at Yogareal have included: assisting at classes (including assisting students from small children to the elderly, integrating the practice by working one-on-one in Rob’s classes with students who are pregnant, and people with injuries, or missing limbs), helping on the front desk, teaching (from 2001), cleaning, managing, marketing, website development, graphic design, social media, retreat/event management, administration and any of the day to day requirements involved in helping to run the Studio. She has also assisted with building renovations and running Lorne Beach Accom since 2000. She feels blessed to have experienced what’s most important in life, and does the best she can to help others do the same. 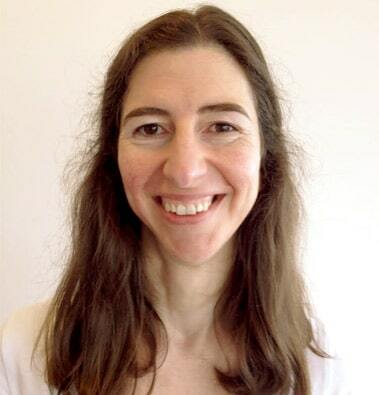 The foundation of Theresa’s classes is understanding one’s Self and intuitively guiding people – through understanding, dynamic practice, breath and conscious awareness back to that centre-point in themselves. To therefore be more connected, open and available to the bigger picture of life. ‘I was introduced to Rob by a friend at Jerry’s Cafe in Elwood, during 2002. I was inspired and intrigued with the way he was living and breathing what he was saying. From a young age I loved playing and being very active. Following this direction led to completing a Bachelor of Applied Science – Human Movement at the Victorian University of Technology, while playing football with Port Melbourne in the V.F.L. It was around this time I realised that this lifestyle wouldn’t give me the feeling of freedom and peace I was after. Ever since then Hugh has set his life up to be around the framework of the studio and the teachings. He began teaching in 2004 and each year the different roles Rob gives him the opportunity to do, allows for ongoing expansion. Hugh teaches in a humorous an enjoyable way. His classes convey the understanding Rob has passed on, the essence of which Rob learnt from Baba Muktananda. With a balance of fire and letting go, you will be encouraged to go to the edge of what you can do and slowly transform to go beyond that. Hugh’s classes include good depth of postures, with abbreviations for everyone! *Hugh and Elisha have moved to QLD… Visit yogaofself.com.au for details of their yoga classes in Qld! ‘I met Robert in 2005 while studying at the Victorian College of the Arts. During our first class together, I sensed Robert’s unique manner and message was to have a lasting affect on my life. From this point, I established a devoted practice at Yogareal that has allowed me to connect to the awareness of Self. For this insight, I am truly appreciative. Elisha has spent time travelling and living overseas. Her career has led her from the creative arts to corporate administrative management and she now holds a full-time retail position for a reputable global brand. 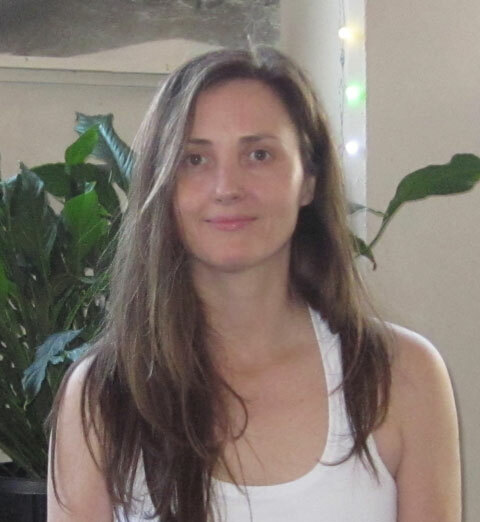 Elisha began teaching in 2007 and shares yoga in a relatable and caring way. Her classes are founded on Robert’s understanding and the Yogareal lineage. They will encourage you to let go of limiting conditioning and access truth and love within. Just as you need a flame to light a candle so you need a teacher to provide the understanding, direction and inspiration to begin your practise. Rob is a natural teacher who imbibes all these qualities, as I discovered when I met him in class at the studio. Bridget began teaching in 2007. Her classes are uplifting and fun with a strong focus on breath and awareness; and a balance of postures that open the body and create stability. Each class offers students a neutral space to tune into their vital energy (their breath) and release the tensions from the body and mind. Bridget graduated from RMIT Media studies. She then travelled and worked overseas for Discovery Channel. 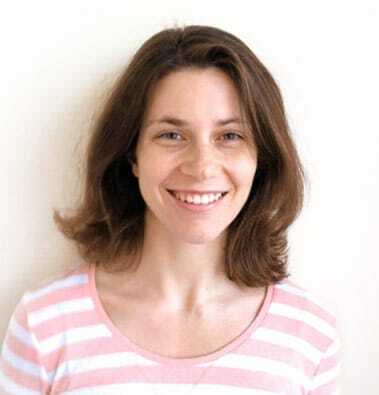 After returning to Melbourne she worked for several media companies including the Australian Centre for the Moving Image. It was at this time she met Rob and has trained with him at Yogareal since 2006. I met Rob when I went to the studio my brother Hugh had been talking about. To be honest, it took me quite a while to get past my own reservations about spirituality and be truly present at one of Rob’s classes. But I kept coming back. Maybe because there was something very appealing about learning to make quiet the deafening chatter of the mind, or maybe because I simply felt good after each of Rob’s classes. I come from a background of fine arts. In ’97 I completed an undergraduate degree in Sculpture at VCA and in 2001 a Masters at RMIT in Art in Public Space. I have spent much of my time pursuing an art practice and working in community arts. In 2004 I became a secondary school art teacher, and have loved working with young people on a daily basis. By the end of my first year of teaching, I became acutely aware that something major had to shift in terms of retaining and managing my own energy levels. Strengthening my yoga practice ensured my life was more balanced. The studio and Rob’s teachings have provided me with much insight, which has helped me live a richer and more peaceful life. I have been able to reflect on how tired I was and how life just isn’t set up for us to rest or slow down. In 2013 I became a mother and this has changed, strengthened and expanded my yoga practice, as it has my life in general. Teaching at Yogareal has been a challenging and profoundly rewarding experience. I have had the opportunity to teach various classes, including prenatal yoga and yoga for secondary students. These classes have allowed me to draw on my personal experiences and integrate them into my teaching. It is important to me that my approach to teaching is honest and people can relate to what is being taught.